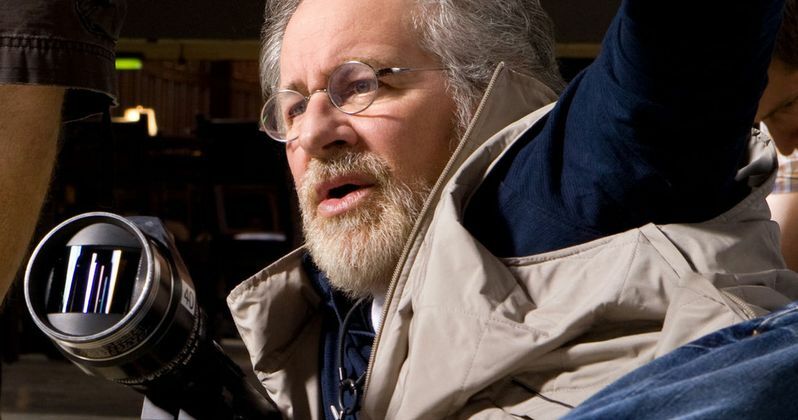 Steven Spielberg has turned to a viral internet story for his next project. The prolific director and producer has signed on to produce an adaptation of The Spire in the Woods, which originally was posted on Reddit as a series of ten articles in 2013. The story has since gained notoriety and went on to become extremely popular online. Now, it's going to become a movie with the force of one of the most powerful men in Hollywood behind it. According to a new report, Steven Spielberg has signed on to produce a movie adaptation of The Spire in the Woods through his company Amblin Entertainment. It will be produced in partnership with Jon Berg and Roy Lee through their company Vertigo Entertainment. Liya Gao will oversee the project for Vertigo. There was no information released at this time in regards to who may be penning the screenplay, or as to who may wind up in the director's chair. It does sound as though the project is in the very early stages, so we would expect that information to be revealed at a later date. The story was written by Tony Lunedi and, following its success on Reddit, was later collected and published as an ebook. The Spire in the Woods, now known as The Bells, centers on a teen boy who, after discovering the suicide of a schoolmate may be connected to a local legend, embarks on a quest to discover the truth. Why had Robert Edward Kennan killed himself? Was it because of a failed relationship or something more nefarious? The story is said to be "based on actual events" and is equal parts coming of age and ghost story. Even though Steven Spielberg won't be directing, the fact that this got his attention in the first place, enough for him to produce it, says a lot. Spielberg hasn't shied away from looking in a wide variety of places for source material. He's produced the Transformers movies, based on a toy line, is currently working on the Halo TV series, based on the video game, and has adapted several landmark novels, such as Jurassic Park and Ready Player One, for the big screen. The list goes on. But now, he's shifted to something very modern, by turning to the world of viral internet tales. Vertigo Entertainment has been behind such horror hits as The Ring, The Grudge and IT, while also working on The Departed and The LEGO Movie. So their track record is quite solid and they certainly have credibility within the horror genre. Josh Dove of Intellectual Property Group is also producing. Dove serves as Tony Lunedi's manager. For the time being, there is no indication as to how soon this project could actually get off the ground, but it's the latest internet tale turned movie, to go along with last year's Slender Man. Let's just hope this works out a little better when it comes to the final product. This news was first reported by Variety.